Wingardium Leviosa! 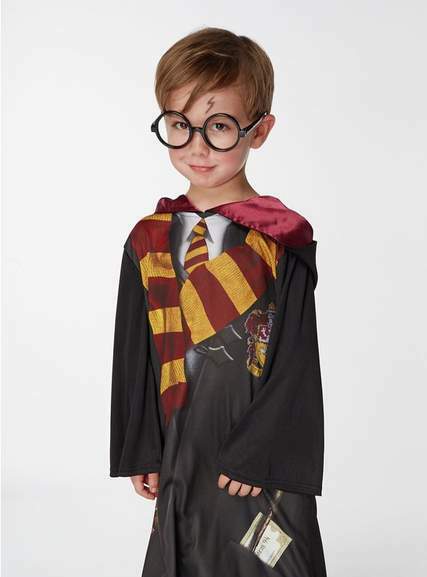 Awesome costume (robe, glasses, wand and snitch). Great for upcoming World Book Day. Available in sizes 5-6 and 7-8 for £5. Size 9-10 is £7.50. Take to checkout for offer price. 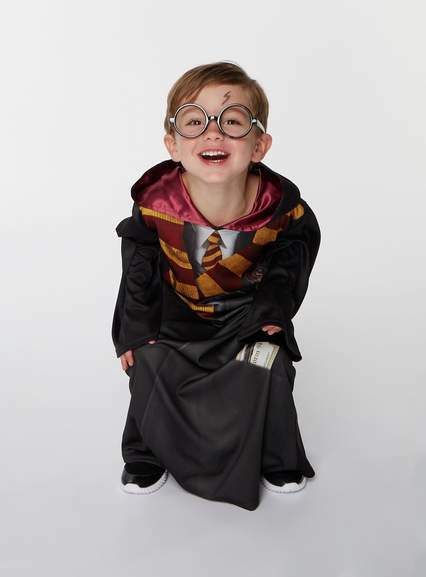 Pick up your specs and wand, wrap yourself in his robe and instantly transform into Harry Potter! As a student at the Hogwarts School of Witchcraft and Wizardry, others better be ready for your next spell! 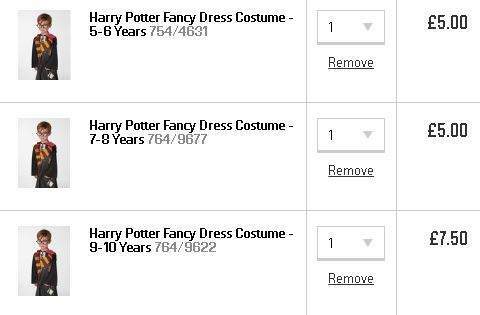 Includes: robe, glasses, wand and snitch.